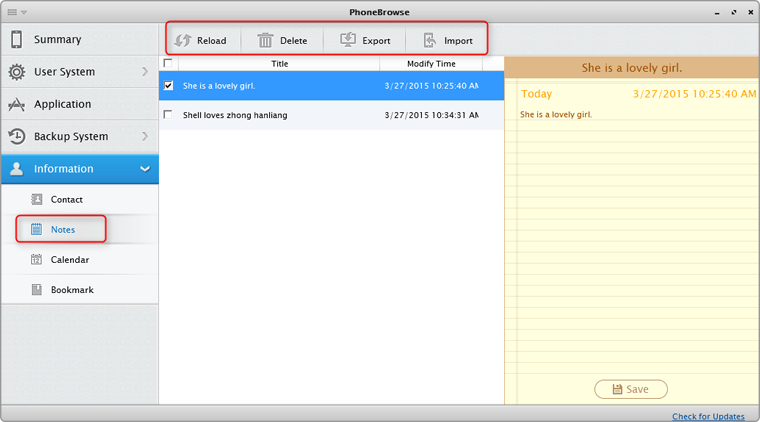 PhoneBrowse provides a way to browse and manage notes on your iOS device as easy as pie. 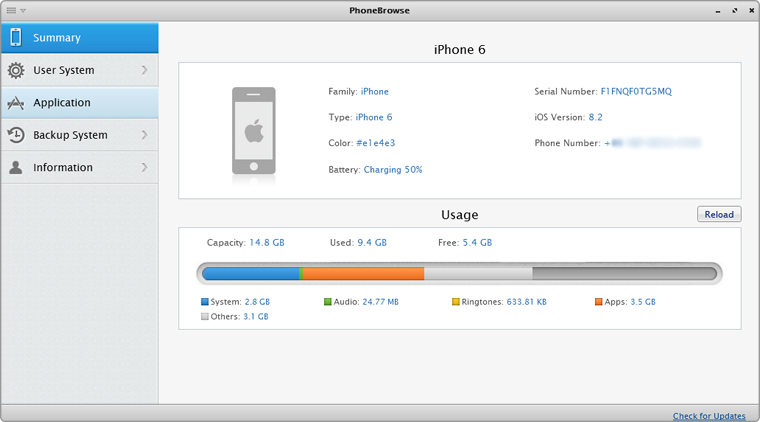 Step 1: Please launch PhoneBrowse after connecting your device to computer, and then you will see the main interface of PhoneBrowse. Step 2: Please click “Notes” button to get start to delete notes, export notes to your computer, and import new notes to device. 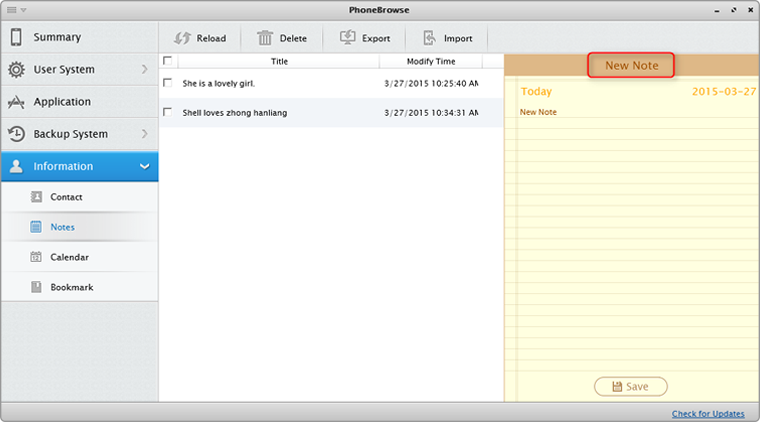 PhoneBrowse allows you to edit a new note from the right box.